Every time you’re going to think to yourself “this tablet looks like a larger phone”, remember that that’s basically what Apple did with the iPad and HTC with the Flyer. 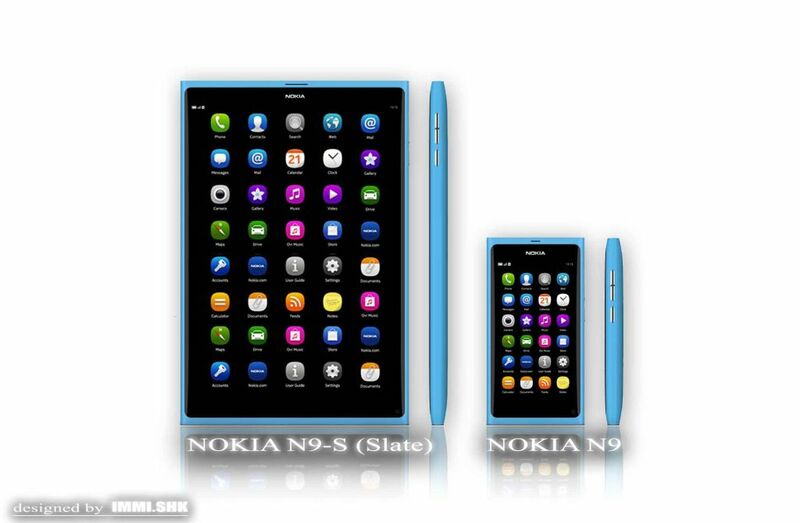 Anyway, here’s the Nokia N9 S tablet, designed by Imran Sheikh, who also envisioned some specs for this MeeGo slate. Nokia N9-S tablet features MeeGo OS 1.2 Harmattan, a 1080p screen (Super AMOLED Capacitive Clear Black Display), 16/64/128 GB of storage and 2 GB of RAM. There’s a 16 megapixel camera at the back with autofocus and dual LED flash, plus the ability to record HD video at 1080p and 30 fps. There’s also a secondary 5 MP camera with 1080p 30 fps capture ability. The battery is a dual Li-Ion 6000 mAh unit, with one of the battery units being hot swappable, a very original idea, I have to admit. My only problem with this device is that its dual batteries will make it very heavy and bulky. Also, the camera doesn’t need to be so powerful, since people don’t actually use tablets to take pics, since they’re kind of… ashamed of doing that, because they don’t want to seem douches. And here’s a quote from the designer: “N9 S Tablet will also sport OpenMobile’s Application Compatibility Layer (ACL) , which will bring over 400,000+ Android Apps to this MeeGo Slate and is 100% compatible and all Android Apps run exactly as they do on an Android device”. Pretty cool, right?